I never thought of myself as the finicky type. But, it turns out, I am–or at least can be–sometimes picky about my food. As a junk-food junkie, I just assumed that people saw me as an affable slob. I thought I WAS an affable slob. But, as my girlfriend points out, on an almost daily basis, I have strong opinions about the rubbish I put into my body. For instance, I like the way my Grandma makes lasagna. So, when my girlfriend makes it, sometimes I have helpful suggestions…even though I’m not the one making it. I know that it’s the cooking equivalent of backseat driving, but I can’t help myself. I also don’t like having salad on the same plate as my hot food. I don’t want the salad dressing to run into any other sauce that might be part of the main course. That’s reasonable isn’t it? I mean, that’s what salad bowls were invented for! As a last example–and more pertinent to today’s great thing–I am spoiled to particular types of cake frosting. My Grandma made really quality stuff. Her almond frosting on her chocolate cupcakes was to die for. But, not being a cook or baker so much myself, I’ve learned to love today’s great thing. …just for the sheer delicious reliability. You see on that can where it says “quality taste guarantee”? You better believe it, brothers and sisters. I’m partial to the “Rich and Creamy” range but I wouldn’t kick the “Whipped” off the cupcake or anything. At least with Betty Crocker’s grocery-bought variety, you know what you’re going to get–a satisfying buttercream frosting. You see, there are many different types of frosting or icing as the cake-topper is sometimes referred to. They range from simple glaze, like that on a ring donut, to tangy and thick cream-cheese style. It can get confusing and even perilous out there for a consumer. You’d think the simple task of finishing a cake would be something that any old idiot could do. Not true. Caveat emptor. Or as I like to say “caveat obesum”–let the fatass beware. Perhaps no other edible, save maybe pizza, has the potential to devastate so thoroughly as frosting–simply because regardless of what the sample in question might taste like, it will always look delicious. The next time you are cake-shopping, consider this possibility: You are starving. You’re going to go home and make yourself a delicious sandwich. Let’s say for this exercise it’s a chicken salad sandwich. But, your sweet tooth is shouting at you that you need a cupcake. So, passing by a local bakery window and spotting a dark chocolate cupcake with creamy vanilla frosting, you choose to indulge yourself. You get that cupcake to go, race home, finish your sandwich, eat your apple and then you take your first bite of your reward…only to find that what you thought was going to be an intensely aromatic, sweet, and slightly firm but melt in your mouth frosting is actually rock hard and barely edible fondant. Now I don’t know about you, but I would throw that cupcake at the wall. Or at least cry a little bit–the pitiful and bitter sobs of dashed expectations. Fondant may be the absolute worst case scenario, but there are plenty of other pretenders out there too. Let’s have a look. I'm speculating that this is that marshmallowy type. This cake, above, is either that marshmallow–meringue type or that simple whipped cream type. Both are considered to be of the ‘foam’ variety of icing. The latter sort of tastes like nothing. It’s like how lots of British folks use simple pouring cream instead of ice cream to top their desserts with. Whaaaa? Picture a chocolate souffle–piping hot, with a perfect scoop of vanilla ice cream ala modeing it…melting into the chocolate heat. Perfection. Now picture that same souffle with milk poured over it. Congratulations, you’ve just turned your delicious dessert into a breakfast cereal. Now, if it’s the marshmallow variety, it tastes like Marshmallow Fluff. It’s not hideous…it’s just not as good as it could be. It’s a desperate choice for someone who has run out of other ingredients. Now this cake looks like it might be topped with either a sour cream or cream cheese based frosting. Depending on the cake type, this could be a winner. This group of frosting is known to be stiff but malleable with a nice bite…an edge to the sweetness. 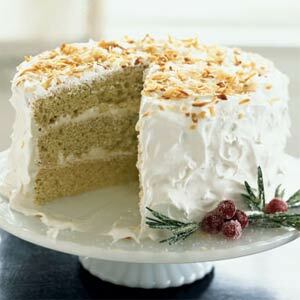 It’s an educated and worldly frosting for an expensive cake…like a coconut or spice cake. Fancy. A casualty of global warming? Now, I’m going to make an educated guess here and suggest that the cake pictured above has a ganache type frosting. These are typically super-chocolately and are generally nice to eat but they’re certainly more wet tasting than your standard buttercream. When ganache is good, it’s really good. Again, you’ll see this mostly on chocolate cakes. The more expenisive the chocolate used, the better. The biggest offender HAS to be fondant style icing. It’s main purpose is to provide elaborate decoration and it has the added benefit of keeping the cake inside very moist. But, it tastes like despair. Looks AND tastes like Play-dough. If you take a bite, accidentally, of a cake that is topped with fondant, I would recommend spitting it out immediately and chasing it with a shot of rum. A bit of Mt. Gay will take the pain away and chase off any lingering bad tastes. So, what’s the lesson here? When in doubt, go with a classic buttercream–of which Betty Crocker provides over a dozen varieties. -Or rim your martini glasses with it? Would you like to know more about frosting? In articulating what my mouth already knows, I found this website to be very helpful: The More You Know…ding! So, next time you’re window-shopping at the bakery, don’t be shy. Ask questions. Is it a buttercream frosting? If not…you might want to consider moving along. Or…just go home and pop open that sweet, sweet can of Betty C.
We are cut from the same mold, my friend. There are few things that sound better to me than a mound of chocolate Betty Crocker frosting on a spoon. A soup spoon. A serving spoon, maybe. That’s right. The bigger the better. Fave flavor? Right, that’s it. I’ve been trying to be on a diet for 3 weeks during which time Cadburys- and therefore lots and lots of bars of chocolate- have been all over the news, the World’s 7th Best Chippy across the road from my house has re-opened after being shut for 8 months; and I keep getting invited on Olympic standard pub crawls. And now- you write this. With photos! Darn you. Consider yourself darned. Haha! Wait…what’s the 7th best chippy called? Is that an official rating? I am slightly confused. I don’t know if I am reading the cognitive writings of a formidable connoisseur of pastry toppings, or the ramblings of a veteran semi-solid sugar junkie reliving their greatest highs. Meanwhile, now’s a good time to discuss beers. Favorites? I’m partial to Newcastle, Budvar Dark, Rolling Rock, some Trappist Ales, and the concept of stouts in general…yes, including Guinness. Really though…if I’m seriously just needing a bit of lager, I’m not too picky. Reissdof Kolsch from Cologne is incredible. I am still trying to find a distributor in the US for it. Budvar, or in the US known as Czechvar, is AWESOME. Easily one of the best beers ever. When I was in Prauge, there was only one other beer that was sublime. In my drunken idiocy, I failed to write it down. I think it was Kozel’s pale lager. Mmmmmm yumm. As for Rolling Rock, is that a beer? I thought it was meant for cleaning the contact terminals on batteries. A friend and I had a case one weekend. I was sequestered in the bathroom reliving myself for several hours. He told me, “Oh, that’s normal with Rolling Rock. You get use to it.” Needless to say, I haven’t had it since. There are somethings I don’t want to get use to. Hahaha! Rolling Rock…I guess I order it when I don’t actually want to taste anything strong. There are sometimes when I need the beery equivalent of water…and that’s when a cold Old Latrobe (Rolling Rock) comes in handy. It’s sorta like Gatorade. I haven’t been to Prague…yet… Hoping to get over to Eastern Europe in 2011 (got a bit of an excursion planned). I will look for your ‘Kozel’s’.